Large Lockers 15”x12”x84” located in our Rental Area. With the upcoming snow season fast approaching we at Royal Mountain are gearing up for another great season. Royals commitment to snowmaking and grooming continues with the addition of another tower snowgun. This brings our total to 26 which is paying huge dividends with early December openings and skiing and riding well into April. Our arsenal of guns plus corduroy Joe in the groomer, virtually guarantees a great snow surface every operating day. 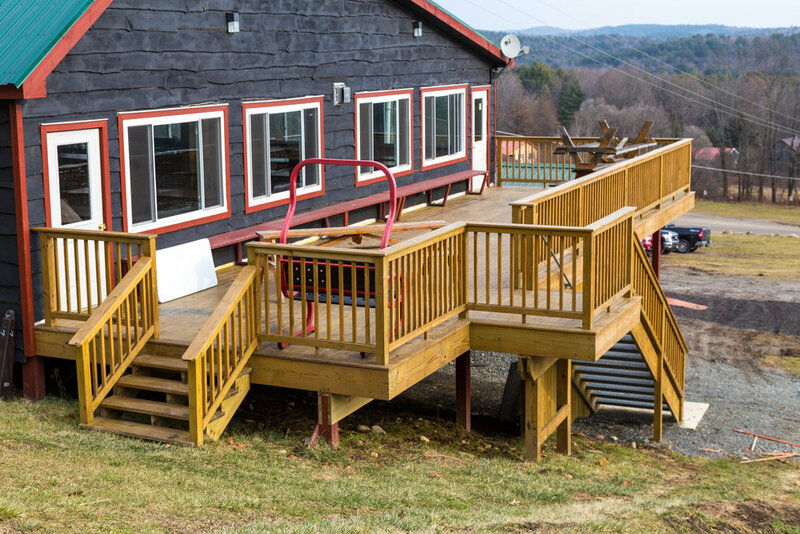 Last year we completed a 1000sq ft addition to our lodge, providing seating for everyone even on our busiest days. This season in addition to our expanded snowmaking, we have added new inventory to our rental shop. We increased our seasonal locker rental supply and did numerous trail improvements. Our annual open house is Sunday Nov. 4th from 1-4pm. Discounted season tickets, day passes, and ski school information will be available as well as free refreshments. Royal Mountain is an ideal venue for racing. 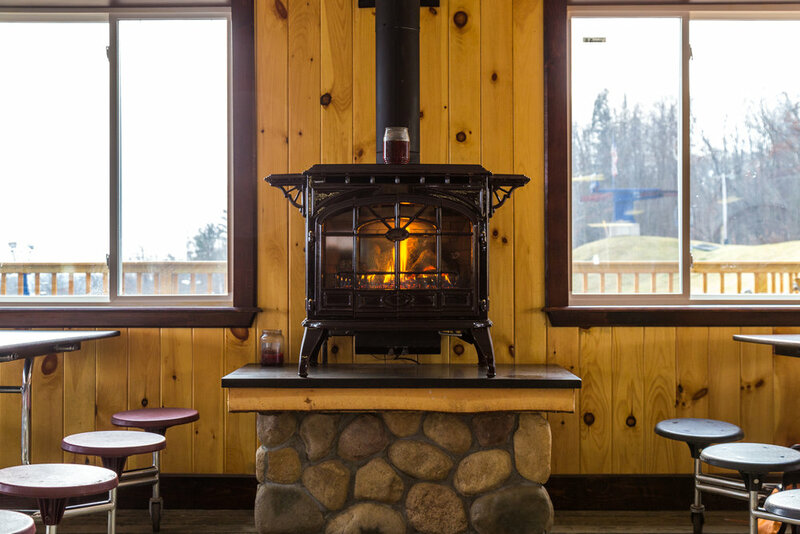 We have a rustic ski lodge which houses the sign-up area, trophy room and concession area. 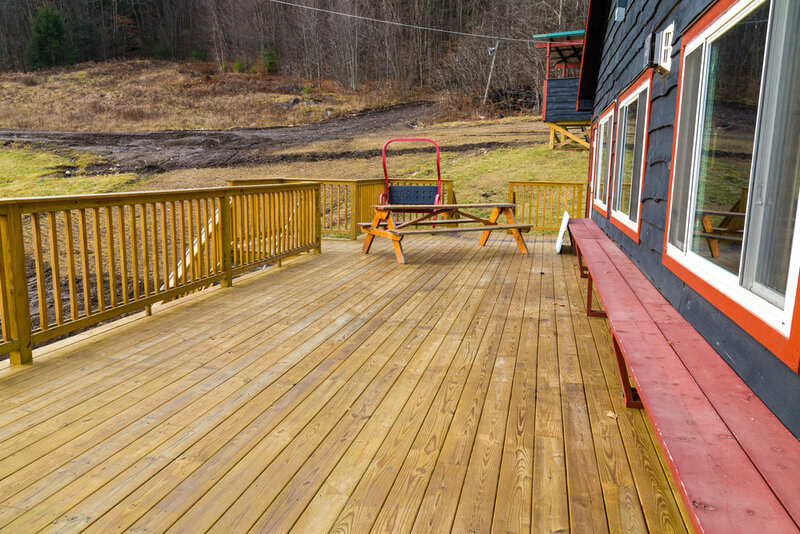 The lodge also has a large brand new large deck that overlooks the supercross track and ¾ of the motocross track. The one acre snowmaking pond borders the pit area and provides a great way to cool off on those hot summer days. Our racetrack is a 9 time CNYMRA “Track of the year” for good reason. We hand rake the entire track after every race and there is always a plentiful supply of screened topsoil, sand and wood chips which are added to the racing surface throughout the season to provide the best racing surface possible.